Farmers Insurance® announced today that 15 teachers across the country were named finalists as part of the company’s Thank America’s Teachers® Dream Big Teacher Challenge®, awarding teachers for their ideas to help create a lasting and positive impact on their classrooms, schools, and communities. 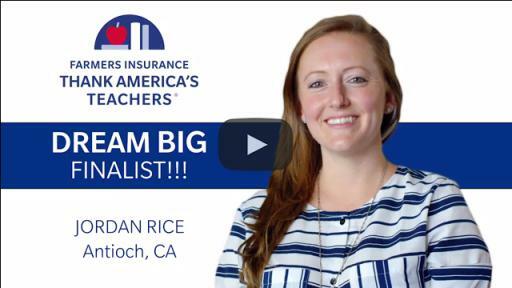 Local Farmers representatives from each of the finalists’ towns shared the news with the finalists that they are one step closer to winning a $100,000 Dream Big Teacher Challenge grant from Farmers. Out of these 15 finalists, six will win. America’s votes from now through October 31 will determine the final six and make their proposals come to life. Each of the finalist’s proposals was handpicked from hundreds of applications and went through a competitive review process. The following 15 teachers are poised to make a difference in their classrooms, schools and entire communities. Finalists’ proposals are currently available for public voting at ThankAmericasTeachers.com. 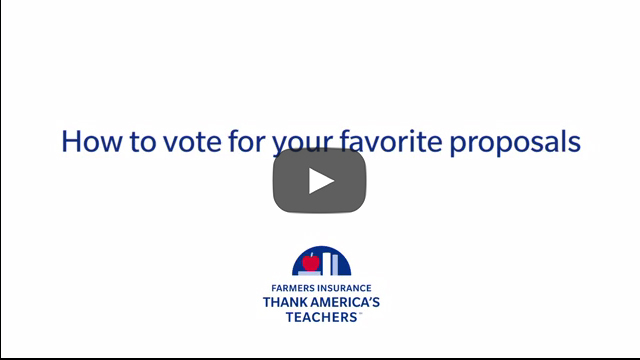 Everyone can vote through October 31 for any of the 15 teacher proposals, but a person can only vote once for the same teacher proposal per day. Up to six $100,000 educational grants will then be announced in December to those proposals with the highest vote count across the country. 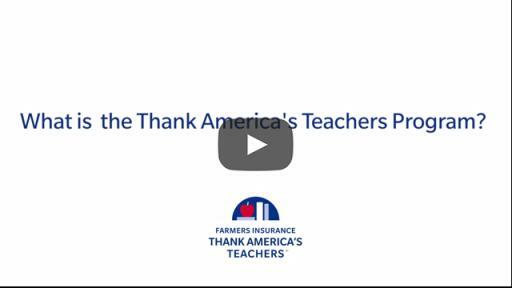 Through Thank America’s Teachers, Farmers will give away more than $1 million to educators each year and the public will determine who receives the grants. 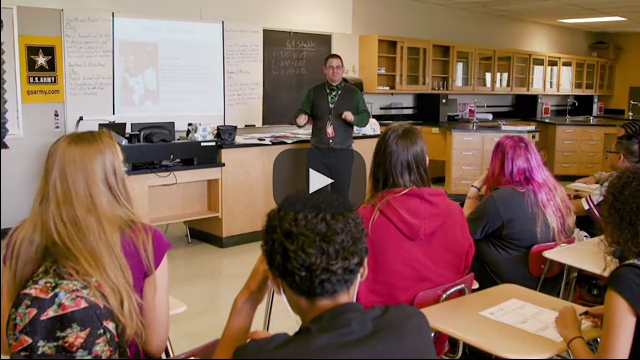 Teachers are invited to submit proposals to win $2,500 and $100,000 grants at ThankAmericasTeachers.com. The public can show appreciation for educators by sending a heartfelt thank you note and voting for teachers’ proposals at ThankAmericasTeachers.com. “Farmers Insurance®” and “Farmers®” are tradenames for a group of affiliated insurers providing insurance for automobiles, homes and small businesses and a wide range of other insurance and financial services and products. 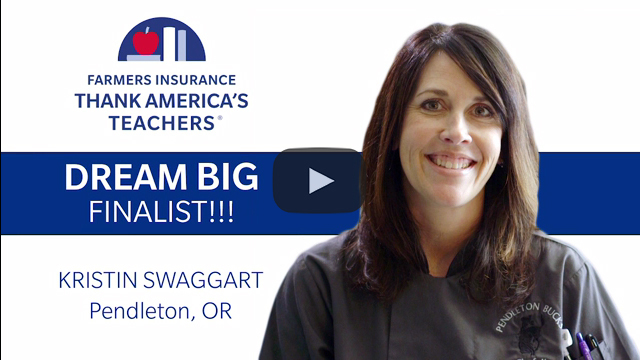 Farmers Insurance is proud to serve more than 10 million households with over 19 million individual policies, across all 50 states, through the efforts of more than 48,000 exclusive and independent agents and approximately 21,000 employees. Farmers Insurance Exchange®, the largest of the three primary insurance insurers that make up Farmers Insurance, is recognized as one of the largest U.S. companies on the 2016 Fortune 500 list. For more information about Farmers Insurance, visit Farmers.com, Twitter and Instagram, @WeAreFarmers, or Facebook.com/FarmersInsurance.